A new spin on a classic design, this dual-handled 12 inch seasoned cast iron pan with glass lid is perfect for everyday cooking, from morning pancakes to roasted chicken dinners. 12 inch Everyday Pan with Glass Lid A new spin on a classic design, this dual-handled 12 inch seasoned cast iron pan with glass lid is perfect for everyday cooking, from morning pancakes to roasted chicken dinners. 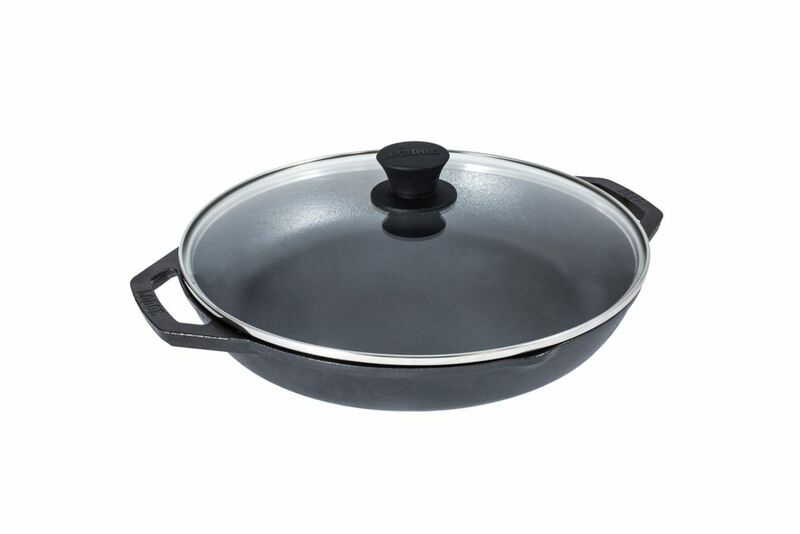 12 inch Everyday Pan with Glass Lid is rated 5.0 out of 5 by 1.